Bartlett Tree Experts: Bartlett Tree Experts Acquires HortScience, Inc.
Bartlett Tree Experts Acquires HortScience, Inc.
June 25, 2018 – Stamford, Conn. – Bartlett Tree Experts is pleased to announce the acquisition of HortScience, Inc., a horticulture, arboriculture and urban forestry consulting company operating out of Pleasanton, CA since 1983. This acquisition marks the launch of Bartlett's consulting division, which will be known as HortScience | Bartlett Consulting. This new division is a natural extension of the Company's existing services, particularly its tree inventory management service, Bartlett Inventory Solutions, and its consultancy group in the United Kingdom. 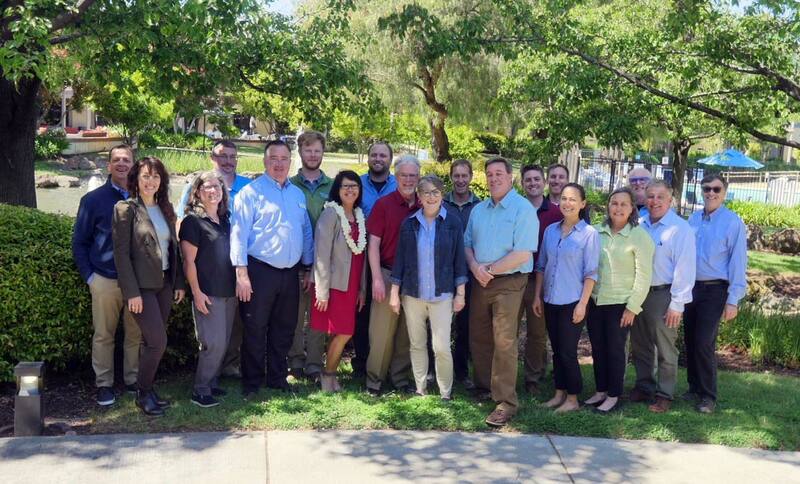 Key members of the Bartlett and HortScience teams convened in California. "We can't imagine a better avenue for growing our consulting business than through this collaboration," notes Jim Ingram, President of Bartlett Tree Experts. "HortScience has an outstanding reputation in this arena, and the scientific contributions their staff have made to the field of arboriculture truly sets them apart. Their dedication to moving the consulting forward on a scholarly level, and then putting those practices into action through work for their clients, is very much in line with Bartlett's own mission." Nelda Matheny and Jim Clark, former owners of HortScience, Inc., will be continuing their roles as consultants and managers with HortScience | Bartlett Consulting. Both are world-renowned consultants, authors and educators who have helped develop arboricultural consulting as a profession. Together they have built a nationally recognized consulting business. In addition they have written many of the educational and reference books used by professionals throughout the world. Their publications on tree risk assessment, tree preservation during development, diagnosis of abiotic diseases, and tree appraisal are industry standards. Their new roles will capitalize on their extensive knowledge and experience to continue to expand consulting services in arboriculture and urban forestry. 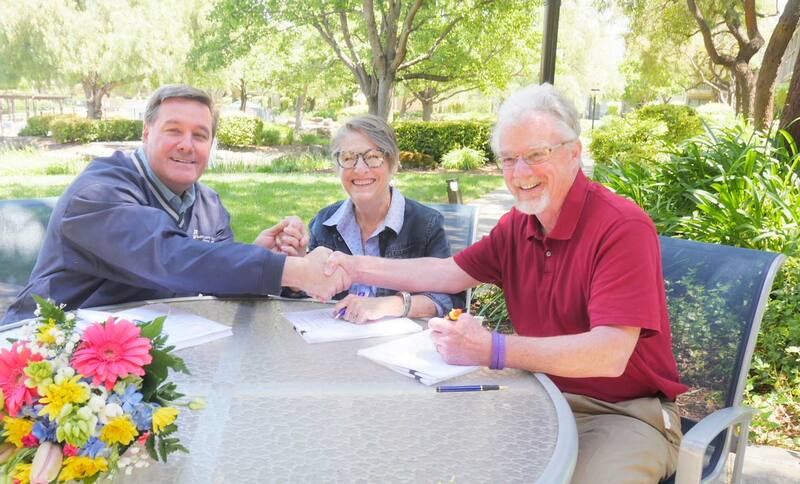 From left – Bartlett President James Ingram with Nelda Matheny and Jim Clark, former owners of HortScience, Inc. Regarding the future of HortScience | Bartlett Consulting, Ingram says, "We look forward to continuing to support all of the work that HortScience and their staff have been doing, as well as finding ways to integrate the two businesses in order to better serve our clients. The benefits of having this new team onboard are magnificently numerous, and we are all excited to see Bartlett's new consulting division evolve from such a strong foundation."